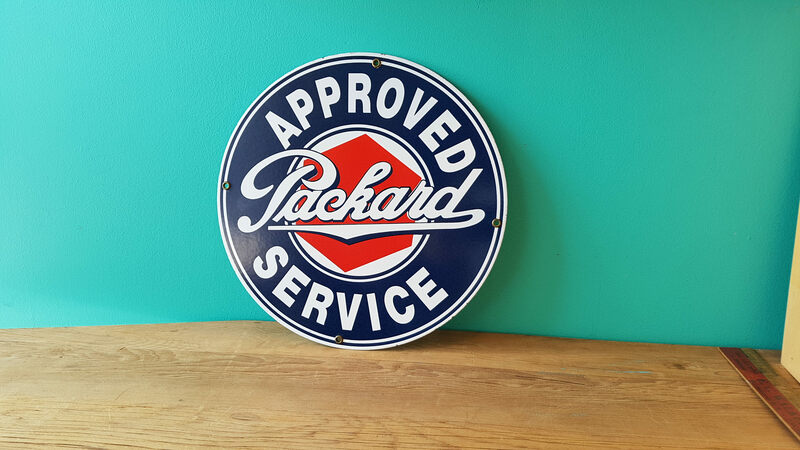 This vintage reproduction gas station sign is made from the highest quality 14-gauge steel with authentic porcelain enamel. 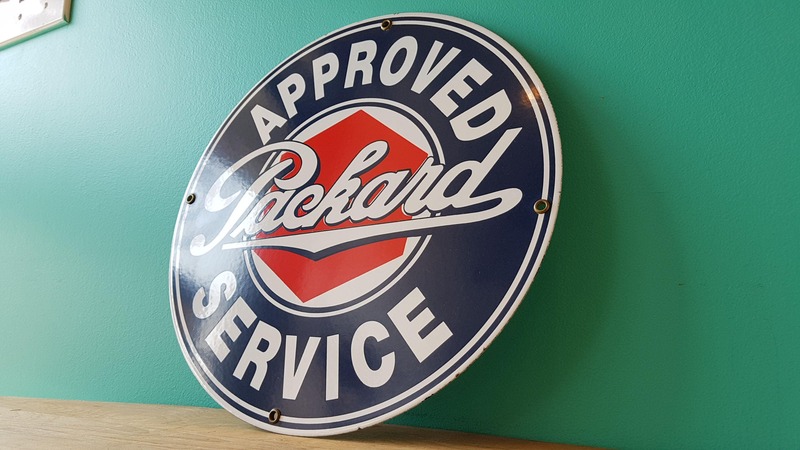 Although a reproduction, these vintage porcelain gas signs were made just like their original counterparts. 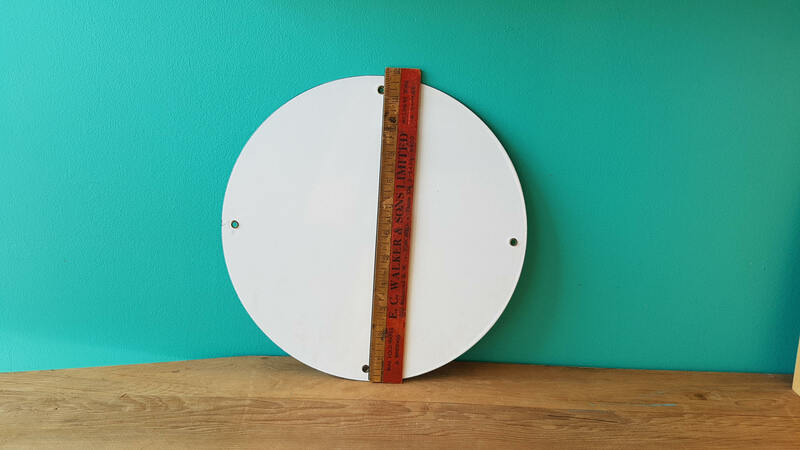 Unlike newer reproductions of today that are made from aluminum with printed decals, this one is constructed from steel and genuine porcelain enamel with brass grommets to protect the mounting holes. 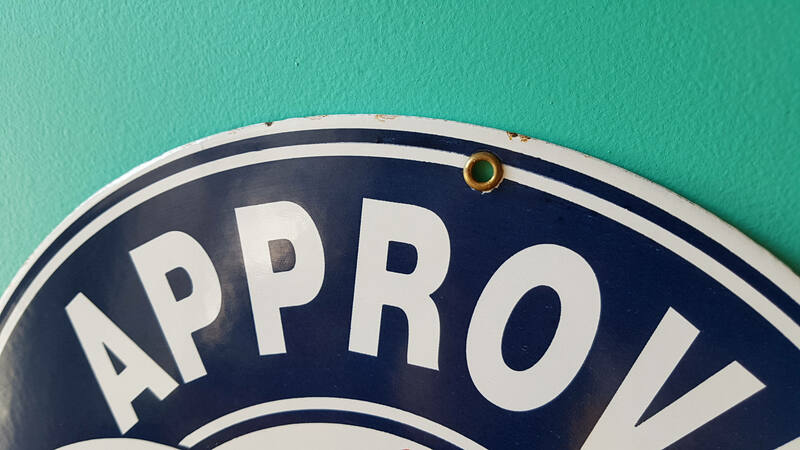 Like new condition with one chip in the porcelain finish as pictured. 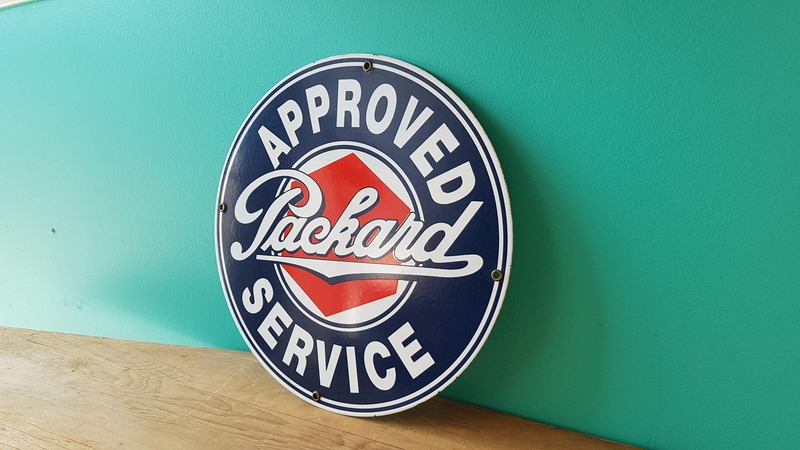 Comes as shown carefully packed and ships in a secure carton. If you're in the GTA you can use coupon code LocalPickup at checkout to remove the shipping cost and pick up in store at your convenience.